Max Stirner is a New York-based writer and editor with over a decade of experience. He has a Master's degree in Library and Information Science, and is a published writer, both in print and online. Boric acid, a common insecticide, can be used to treat a form of ear infection medically known as otitis externa. 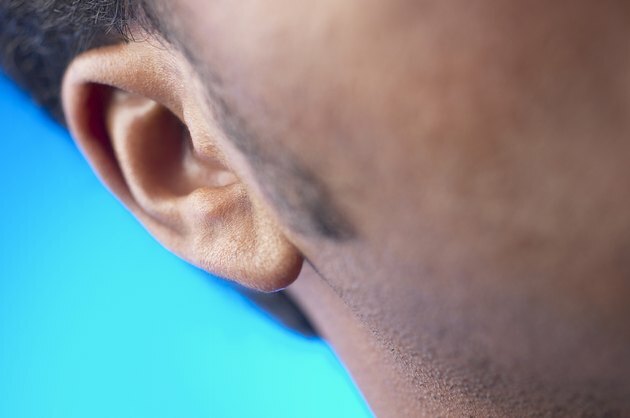 The infection is caused by bacteria or fungi that usually enter the external ear canal by way of contaminated water, giving the infection its common name: "swimmer's ear." However, the infection can also be caused by scratching the ear canal with a fingernail or foreign object such as a cotton-tipped applicator. Boric acid will create an inhospitable environment for the bacteria or fungi and should clear up the infection within a few days. Make a boric acid solution by mixing 1 tbsp. of boric acid powder with 4 oz. of distilled water and 1 tbsp. of vinegar. Boric acid powder is available at some home improvement and garden supply stores, as well as online. Use an eye dropper to apply several drops of the boric acid solution to the affected ear twice a day until pain symptoms go away. Place a washcloth against the ear to keep the solution inside, or lie down for a few minutes and keep the affected ear facing up so that the solution remains inside the ear. Using a boric acid solution on infants is not advised. Call your doctor if ear pain persists for more than a few days or is accompanied by a fever.